The response to my call for photos has been tame, and I might have to start putting up photo posts on a sporadic basis. If you have good photos (and I emphasize “good”), please send them to me. Today’s post involves my favorite brand of waterfowl: DUCKS! It comes from reader William Savage, whose notes are indented. 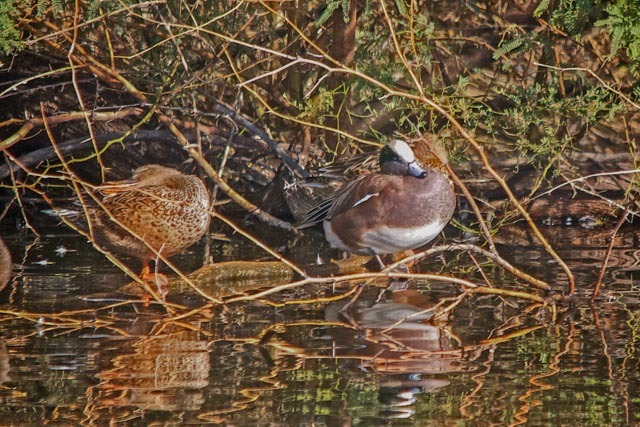 Here are some ducks for you, all photographed a few years ago in and around Tucson, AZ, where many overwinter from further north. 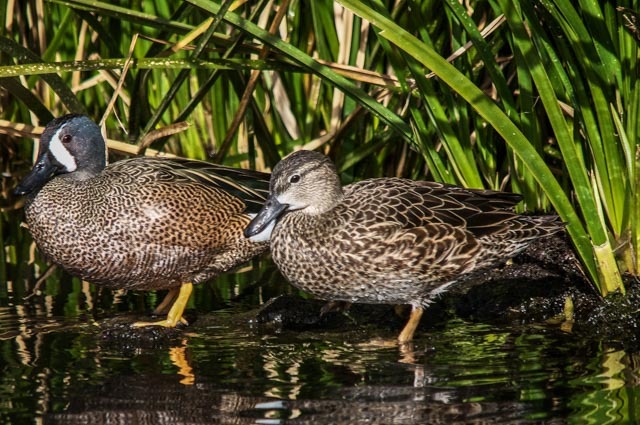 Blue-winged Teals (Spatula discors), male and female. Northern Shoveler (Spatula clypeata), male. American Wigeon (Mareca americana), male and female. 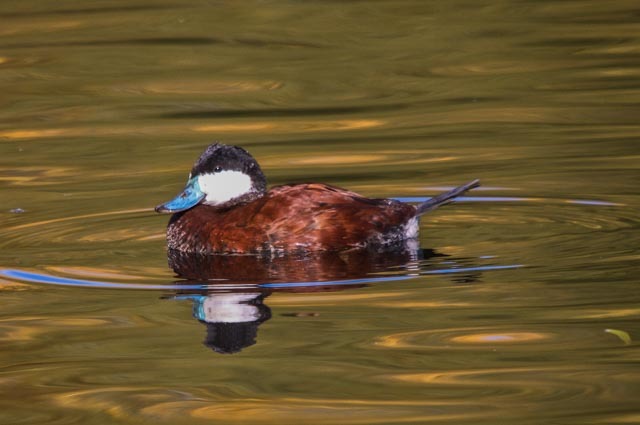 Ruddy Duck (Oxyura jamaicensis), male. 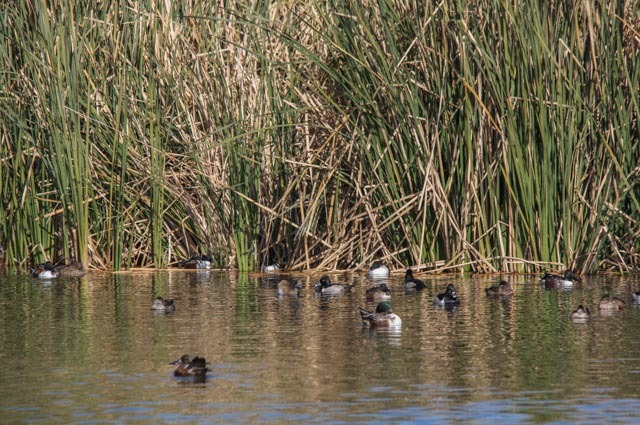 Group of Ring-necked Ducks (Aythya collaris), with Shovelers mixed in amongst them. 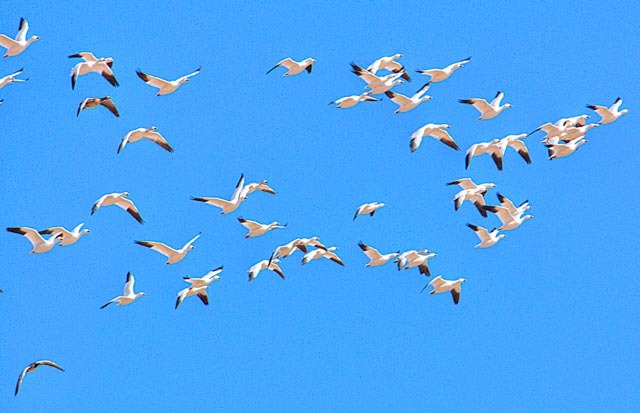 And, as lagniappe, an overflight of Snow Geese (Anser caerulescens) against an Arizona sky. This entry was written by whyevolutionistrue and posted on December 3, 2018 at 7:30 am and filed under birds, ducks, photography. Bookmark the permalink. Follow any comments here with the RSS feed for this post. Both comments and trackbacks are currently closed. 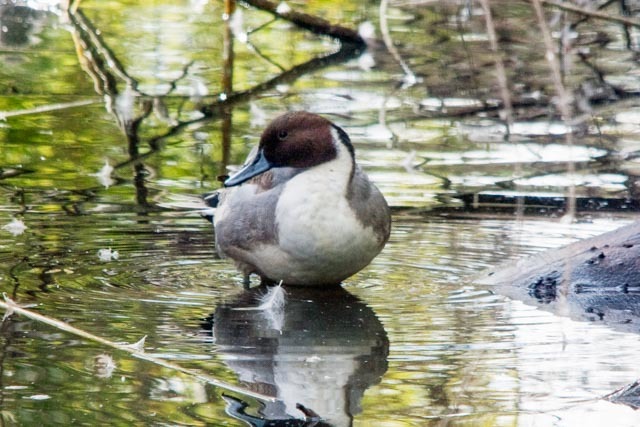 We used to have lots of ruddy duck round here, comical little fellows. They shot them all. What a pity! Where are you? I’ve seen all these species here in Idaho. The Buffleheads are the only ones in any great numbers left, the rest having scooted south. The snow geese are returning from their northern breeding areas in the arctic and pass by at altitude on their way to winter spots. In the spring, they’ll be back here grazing by the thousands in farm fields. And, yes, most mornings the boom boom of hunters disturb the natural patterns of nature. Interesting ducks! I like the blue-winged teals. A great variety , and interesting species among them! Thank you for sharing. How does one go about submitting photos? I don’t see a link for it. If you go to the top of the page and click the “Research Interests” link, you will find PCC(E)’s contact details. You can use that email address to submit them. 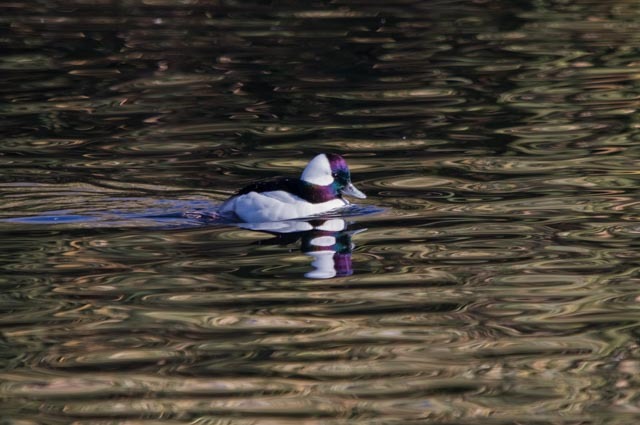 Nice duck photos! 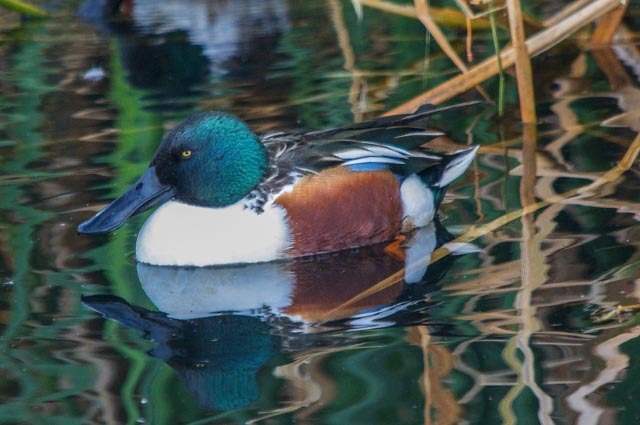 The female duck in the wigeon photo isn’t a wigeon, though; it looks like a Northern Shoveler to me.